A lifelong passion for furniture design. Arne Hovmand Olsen is a famous Danish furniture designer from the mid 20th century. He was born into an agricultural family in Kirkeby Sogn, Denmark. Due to his interest in drawing from an early age, his family set him up as an apprentice to furniture maker P. Olsen Sibast in 1938. 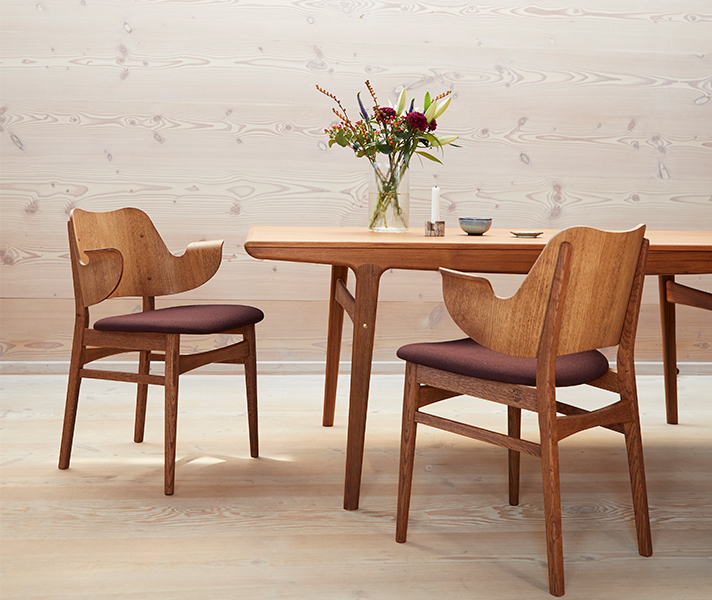 Upon completion of his apprenticeship in 1941, Arne joined a furniture designing school in Aarhus to fulfil his dream of designing the furniture he produced. Soon after, Arne opened his own studio and began designing modern furniture with clean lines and simple forms for leading manufacturers. His style is very much in the organic, natural style that defines mid century Scandinavian furniture. During the 1950s and 60s there was a huge demand for Danish furniture and design throughout Europe and the US, this lead to Hovmand-Olsen’s work becoming recognised and coveted internationally.